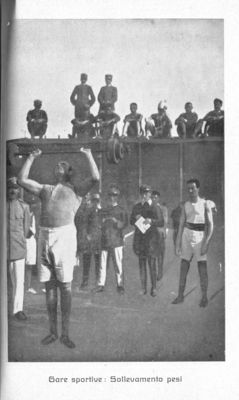 Italian prisoners of war compete in a weight-lifting competition in an unidentified Austrian prison camp. POW's often organized "Sports Days" in which prisoners competed in a variety of track and field events. Such events helped improve camp morale and training for the competition kept prisoners physically fit.